My daughter Gen is being trained to be a pianist in the church by our head musician and as such every Sunday she would learn one song and later practice it at home. She loves playing piano and as a beginner I would stay she’s learning so fast and good. With the help of online tutorial she can practice on her won at home. Last week she told me that she’ll also devote some time to guitar playing because she yearns to learn and play her favorite song via guitar accompaniment. She has a regular simple guitar as of now but after a year I would invest on high quality guitar like Guild Guitars so she can experience best performance from it every time she strums. Anyway even if it’s quite pricey to invest on quality musical instruments it has many advantages on the side. 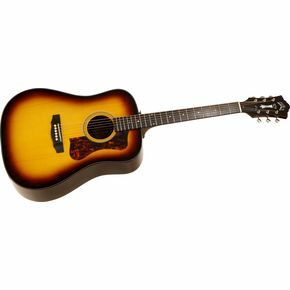 With high performance and durable guitar you’re assured of long lasting usage, durability and he best of quality sounds. Kumusta Race, just stopping by to sasy hello!